Diamond Edge Dry Trimmer - FREE Shipping! Finally, the dry trimmer you've been waiting for! Most trimmers on the market claim to be the best, but growers tell us they could be much better. If superior quality results, high efficiency, and an industry-leading design with ease of cleaning are what you’re waiting for, look no further. Built to quality standards using precision machining with you in mind, we're confident you'll be pleased with the difference owning this trimmer can make. ‘Fine tuning the industry ....streamlining your business’ is our goal, and we aim to deliver. 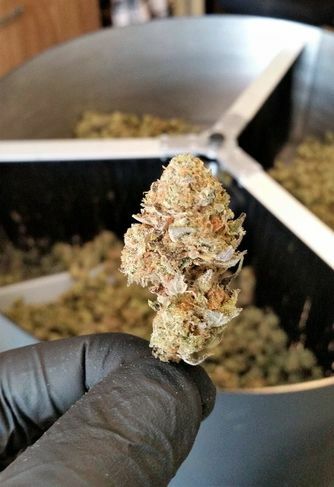 The three brush assembly design gently tumbles each batch of untrimmed buds while maintaining it in constant 100% contact with the level cutting surface. This action combines with our unique diamond edge disk rotation equaling 9400 scissor-like cuts per minute. With extreme efficiency and in an incredibly short time, the resulting final product is the quality you expect. 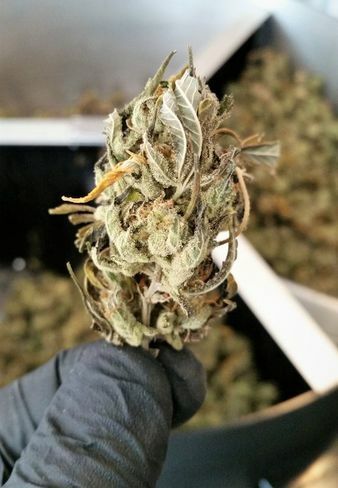 Not only are the buds near hand trim quality, but the trimmed leaf is near processor ready as well. Disassembles for narrow openings and transport, ​Patent pending. This trimmer is manufactured with quality stainless steel, anodized aluminum and durable hardware built to exacting standards. 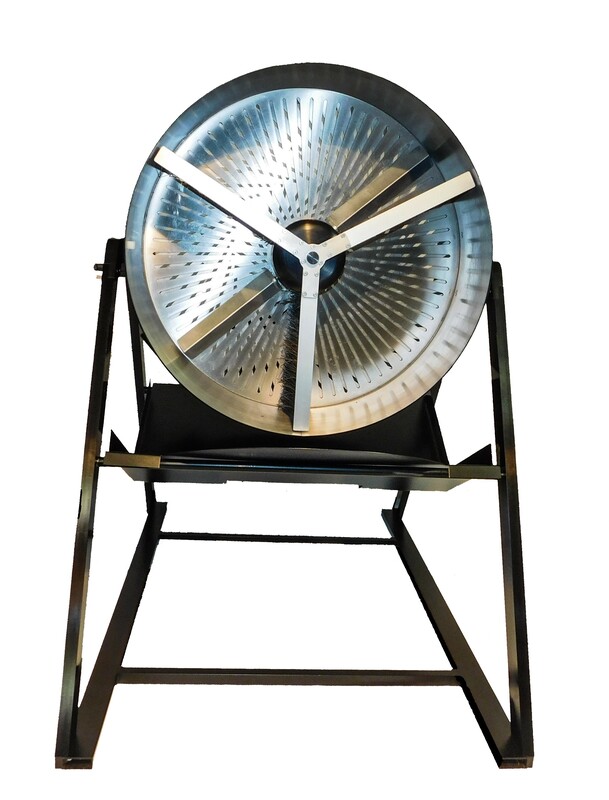 * Easy to clean We designed the trimmer with our customers in mind, the easiest cleanup in the industry thanks to the ability of the machine to be rotated upside down for fast and ergonomic cleaning. For best results it is recommended to clean your trimmer on a regular basis, preferably at the end of each work day. There is no pressure washing required, only isopropyl alcohol, a scraper or small brush, a soft microfiber cloth and organic hemp seed oil to re-lubricate the plates after cleaning.